India’s largest domestic carrier, IndiGo, reported its first quarter results of the fiscal year 2017-2018 (Q1FY18) yesterday. 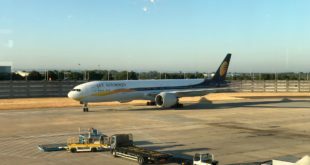 It was a strong result but perhaps what was different this time, were details on its fleet, international expansion plans and strategic direction, the airline shared. Bangalore Aviation is the first to report on and analyse these comprehensive issues. Financial performance indicated a strong focus on both cost control and the topline. With its large fleet and consistent aircraft induction, Indigo was well positioned to capitalise on the market growth which is well reflected in a ₹5,955 crore top-line, an increase of 25.6% over the same period last year. Total costs as compared to the same period last year grew by 20.9% against a capacity increase of 18.7%. Fuel costs rose by 28.6% a reflection of the increases in aviation turbine fuel (ATF) costs. However, majority of the cost growth is directly attributable to increased flying. The airline returned to its on-time roots leading in performance coming in at 85.1% while carrying load factors of 88%. Technical dispatch reliability was at 99.87% and cancellations at 1.25%. Hidden in between this strong operational performance was the issue faced, by the airline, due to the Pratt and Whitney engines, which have led to multiple engine changes and the grounding of the fleet. 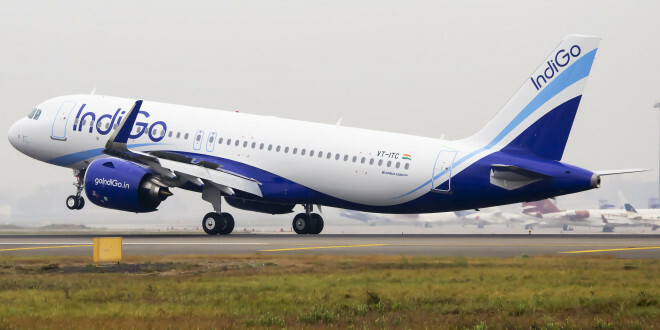 Indigo ended the quarter with 135 A320 aircraft – a mix of NEOs and CEOs. With 22 aircraft, IndiGo is the largest A320neo operator in the world, yet the quarter only saw four aircraft additions. IndiGo revised its capacity guidance downwards due to delays in aircraft deliveries. Capacity shortfall was made up by leasing older CEO aircraft from the secondary market but these come with higher maintenance costs and higher fuel burn than the NEO. With continued delays on deliveries, IndiGo may have to resort to additional capacity from the secondary market and/or extension leases. IndiGo continues to be affected by delays in A320neo deliveries, driven by issues with the Pratt and Whitney PW1100 GTF engine. (read our article on the problems with the PW GTF engines). 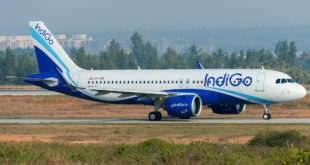 Bangalore Aviation’s industry first analysis on the GTF engine troubles were confirmed by IndiGo during the analysts call. The airline confirmed as many as nine aircraft were AOG (aircraft on ground) due to the lack of spare engines. Indigo’s CEO’ said, “..operational disruptions have been quite challenging.. and we have stressed need for additional spares.” The current focus for Indigo is to get more spare engines and also have deliveries back on track which they believe will take one year to stabilise. Finally, the regional ATR aircraft are on track to be inducted by December this year with nine expected to be in operation by the end of the financial year. Indigo indicated a shift in fleet strategy which while admirable also raises concern. Indigo’s core model has been a single type aircraft fleet, with sale and leaseback on aircraft and an asset light balance sheet. The signal given on the call was that Indigo will now own more aircraft. While this gives them more depreciation cover and also lower long term capital costs – the impact on revenue and balance sheet is yet to be fully determined. 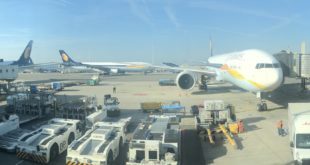 Concurrently, Indigo has moved to two fleet types and a new fleet order is likely pending (watch out for Bangalore Aviation’s opinion piece on this in the future). IndiGo more or less confirmed plans to fly international long-haul indicating its belief on long haul international flying out of India has a compelling proposition. Currently its international capacity deployed is about 12% to 14% of total seat capacity, and this will presumably go higher. IndiGo’s bid for Air India will fast-track international with specific assets like slots and traffic rights. (Read our analysis on why Indigo bid for Air India). Finally, Indigo indicated that it would not have attempted to enter long-haul but for the fact that now there is strong domestic feed. This is a critical point and one that differentiates it from the competition. While Indigo insists its model remains the same, the above steps build complexity into the model. Indigo is transitioning from a pure low fare carrier such as Southwest Airlines, to a new unseen model which integrates regional flying, low cost flying and long-haul low cost flying. Granted that all of these may be done with a low cost base, the proposed changes bring with it a fair share of management challenges. Sources indicate that there are several executive changes at Indigo already underway. This includes the head of operations control, the head of revenue management and further changes to come. While the first quarter fiscal 2018 performance was very strong, the results announcement indicates a shift in overall strategy. Indigo has grown at a break-neck pace and continues to do so. It is on track to building an aviation powerhouse not only in India but perhaps in South Asia. We wish them all the best. As usual, we invite you to share your thoughts, views, and analysis via the comments system. The editor of Bangalore Aviation, Devesh Agarwal, is a shareholder in IndiGo. The financial analysis has been done, and the operations and strategy analysis has been partially done, by an external analyst.